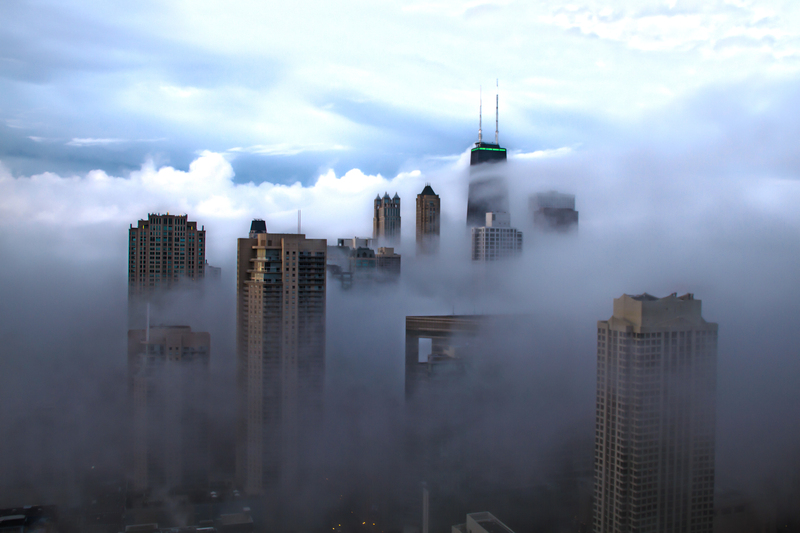 This was a rather dreamy looking scene from Marina City when I lived there. The fog came in off the lake as fast as rush hour could begin making the commute for the 9-5ers pretty rough. Luckily I was up on the balcony, editing photos and taking more. I had this photo seen by some hang glider friends of mine and one of my favorite responses was ‘hey look-cloud base’! This was from one of the guys who had bumper stickers reading ‘There’s no Place like Cloud Base’. So Cloud Base in the City became the way I always identified this photo.